Sixth. Sixth. Fifth. Seventh. Ninth. Eighth. It’s an old adage in sports that the worst place to be is in the middle. You’re not competing for a Title but your team isn’t bad enough to accumulate enough talent through the draft to move up in the world. You get stuck in purgatory. Judging from the Rangers’ last six seasons and their extremely disappointing exit in the 2011 Playoffs, it wouldn’t be a shock to see them back in the middling morass of the Eastern Conference. Despite this, there’s an optimism around the team that things may be different this year. Of course, the Rangers have never been afraid to spend a little cash and they did so this summer, signing top free agent Brad Richards. His pairing with Marian Gaborik on the top line should open up the ice for the once-prodigious scorer, who can concentrate on putting the puck in the net instead of handling it. Gaborik’s 22 goals in 2010-11 was a major letdown and his scoring above all may be the difference between being a contender and a pretender. The foundation of the Rangers has been solidifying for the past few seasons and it’s finally time to judge whether the young guys have what it takes to make a serious run for the Stanley Cup. New Captain Ryan Callahan and Brandon Dubinsky lead this faction that also includes Brian Boyle, Artem Anisimov, and Derek Stepan. Callahan and Dubinsky both scored 20 goals last year but will be expected to increase their production and must avoid injuries, as both have missed significant time over the past two seasons. Along the blue line, all seemed well but star Marc Staal has still been suffering from a concussion suffered last February and is out indefinitely. While it seems he may be back sooner rather than later, the defense will now be a huge storyline to follow especially in the beginning of the season. Dan Girardi is a stud, but Michael Sauer needs to step up and afterthoughts like Michael Del Zotto and Tim Erixon will now be pressed into important roles. How will they handle it? 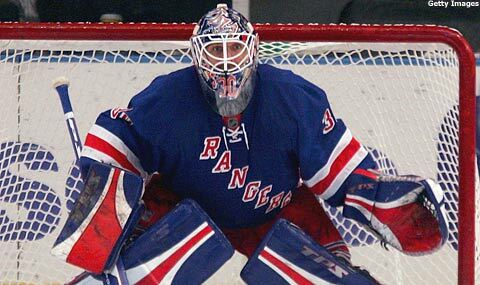 Last and certainly not least, the King Henrik Lundqvist is back in net for the Blueshirts. He was as great as ever last year and continues to be one of the top goaltenders in the NHL. His work is what makes the Rangers competitive in nearly every game. With Martin Biron serving as a capable backup, the King was fresh down the stretch for the first time in his career and his 68 games played was his least since his rookie campaign. The team was fifth overall in goals against last year but with the lack of scoring, it didn’t show in the standings. With Sidney Crosby’s future unknown in Pittsburgh and the Flyers making wholesale changes in the offseason, it would seem that the Atlantic Division is up for grabs. If the Rangers can continue their physical, gritty style of play that was so successful in the later part of last season, avoid the injury bug, and get a big year from Marian Gaborik, they should be right there. Hopefully, King Henrik and the kids will put them over the top.